Contact us on (021) 21880900. Creating Tour & Travel System. One Of The best In Indonesia. 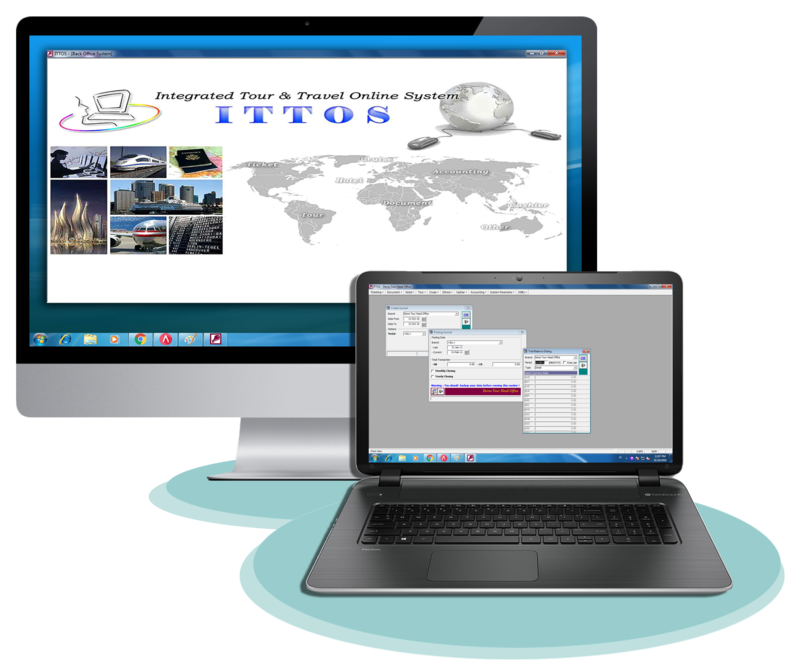 Raise your productivity with a range of user services and see how ITTOS help you manage your travel business in such an easy way. Forget those high season frantic when you start worrying how to handle your precious Customer with such a limited staff. A Tour and Travel application that has a highly integrated modules to handle all transactions from front, mid to back office. 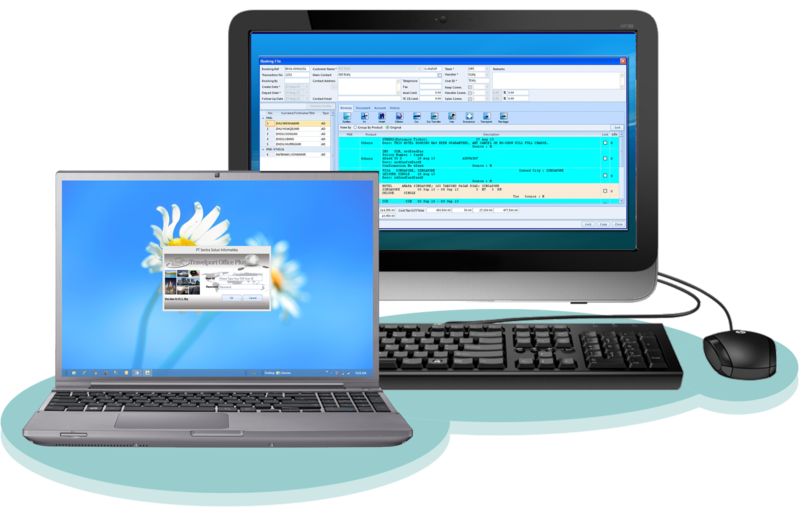 It is designed to be user friendly that everyone can operate it easily. In today's competitive travel industry, a professional tour agency needs to have a powerful and reliable application to support their businesses. Management needs to see information and access data of their company at any possible time. Sales and Marketing needs to see their customer bookings and performances easily to retain customer satisfactions. 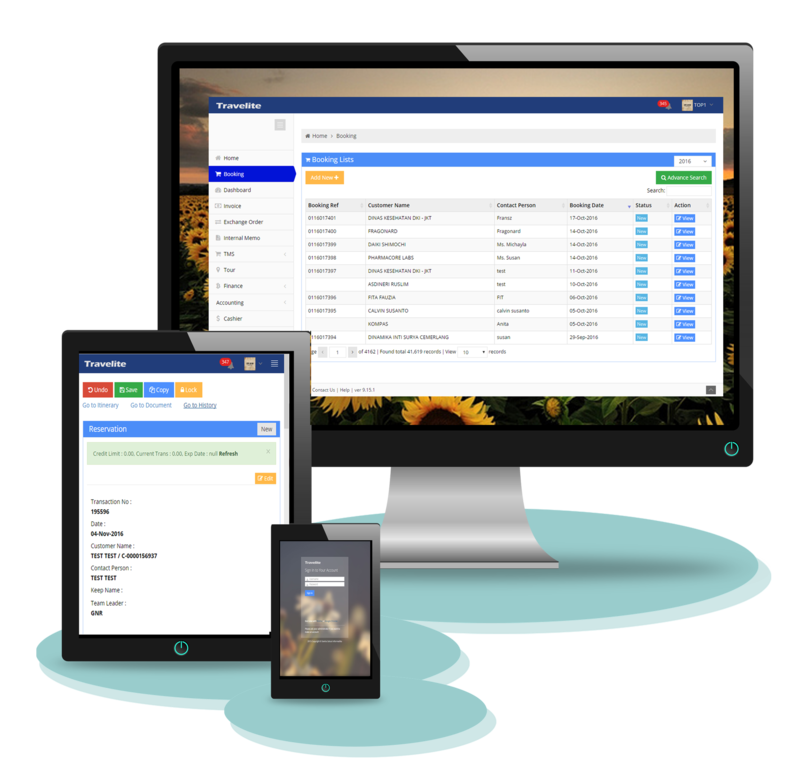 Finance needs a simple and easy way to check on pending receivables and payables on time.